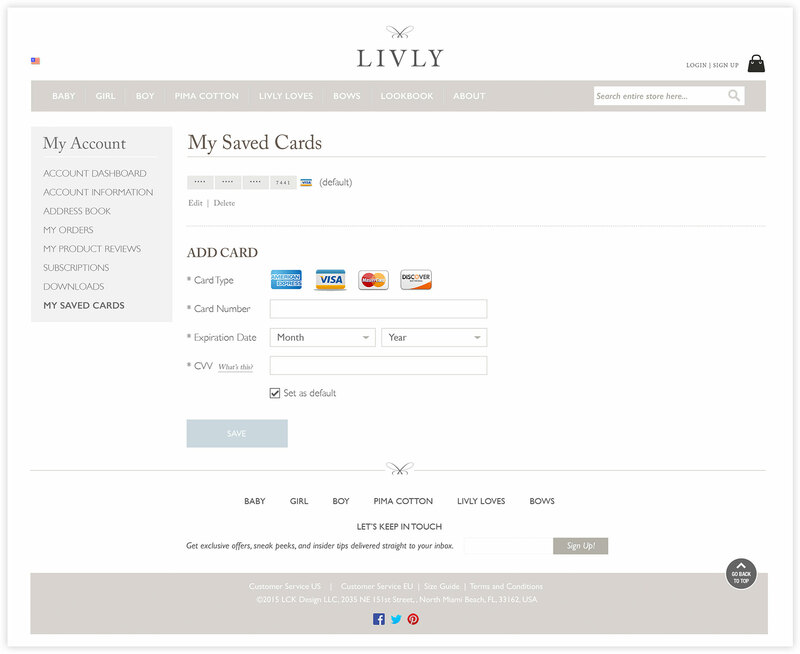 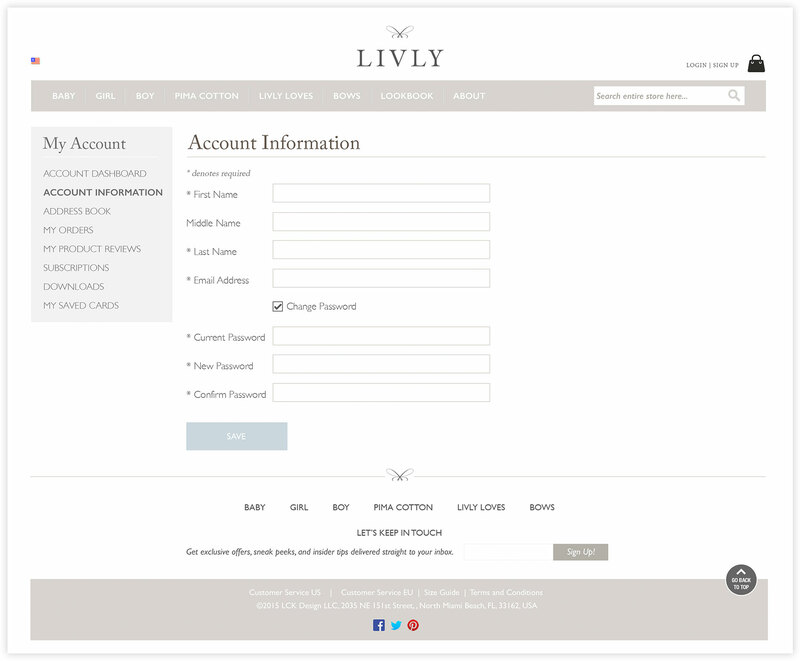 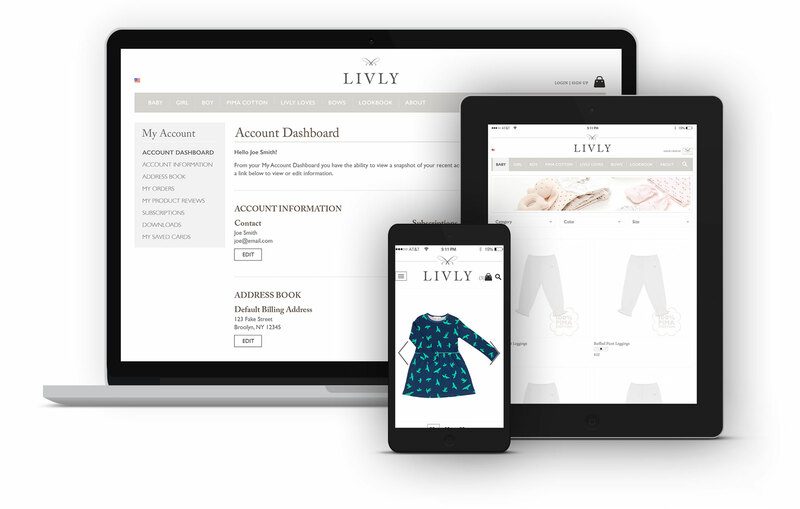 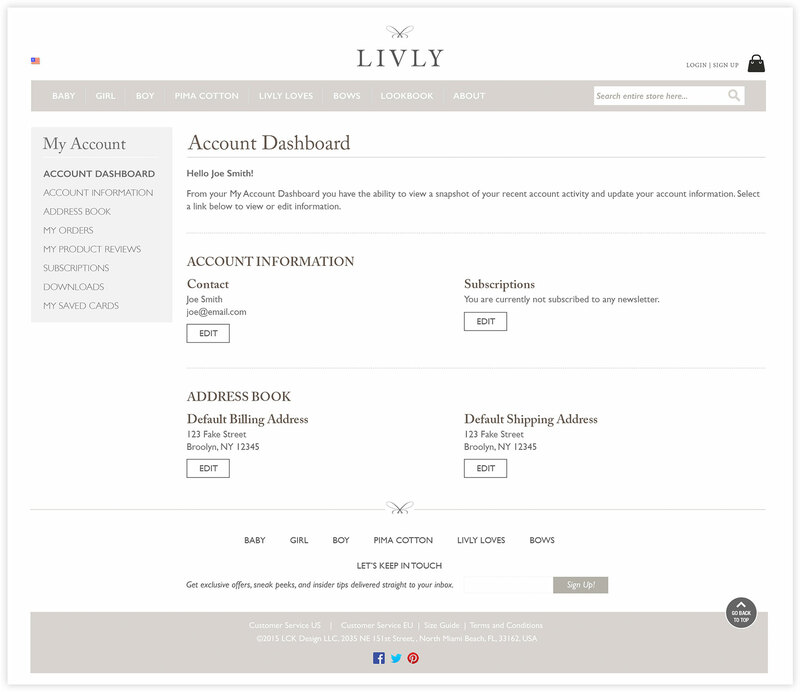 LIVLY is a children’s clothing company based in Sweden. 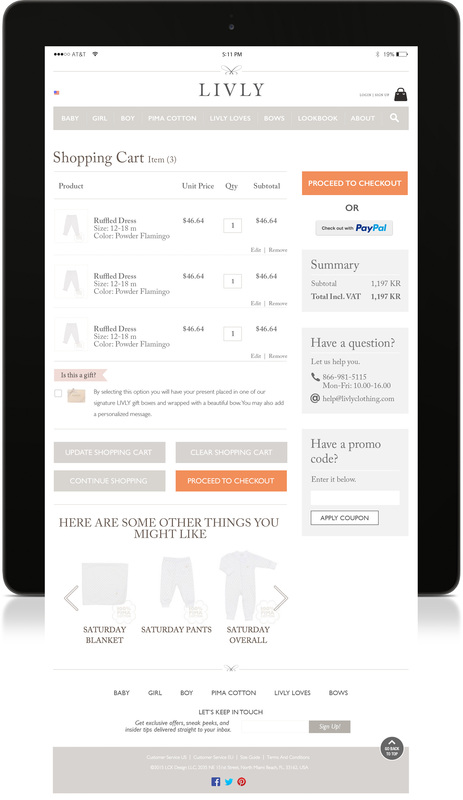 Working with Rehash studio as the development team, Jenn designed interior User Interfaces based on pre-existing site design & branding. 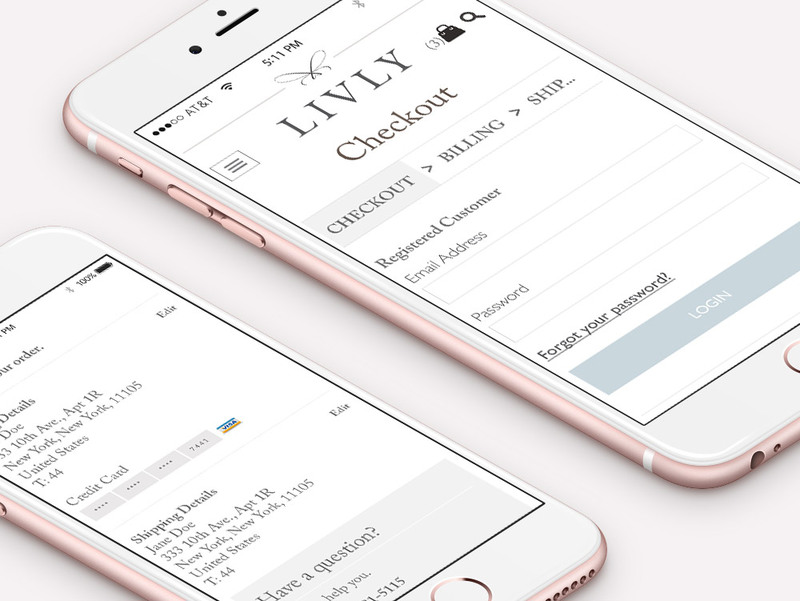 She explored the User Experience of the checkout process and translated desktop layouts into tablet & mobile versions.